wow. all these infos r confusing?!! So am I right to say the future Prestige will be korean made? No more J made? Or will there be a Prestige K and Prestige J? With Prestige K for foreign mkt and prestige J for homeland japan?? This dun make sense but wat does in this world today, hehehe....??? I think Chinese/Korea like the united series was Chinese/Japan. Yea, saw that, guessed it might be, but when you've got MIKP's selling for the same or more than MIJP's, it's fuddling. no doubt the relatively cheap MIJP 1570's and up will be the next to go. I dont think we should come to any conclusions until we see these guitars in real person.. I was quite surprised with the quality of my SZ520 that I went and bought another! But at almost double the price these guitars better be good!. One thing I know for sure is that the same setneck guitar in a Japanese prestige would retail for double the korean prestige again.. 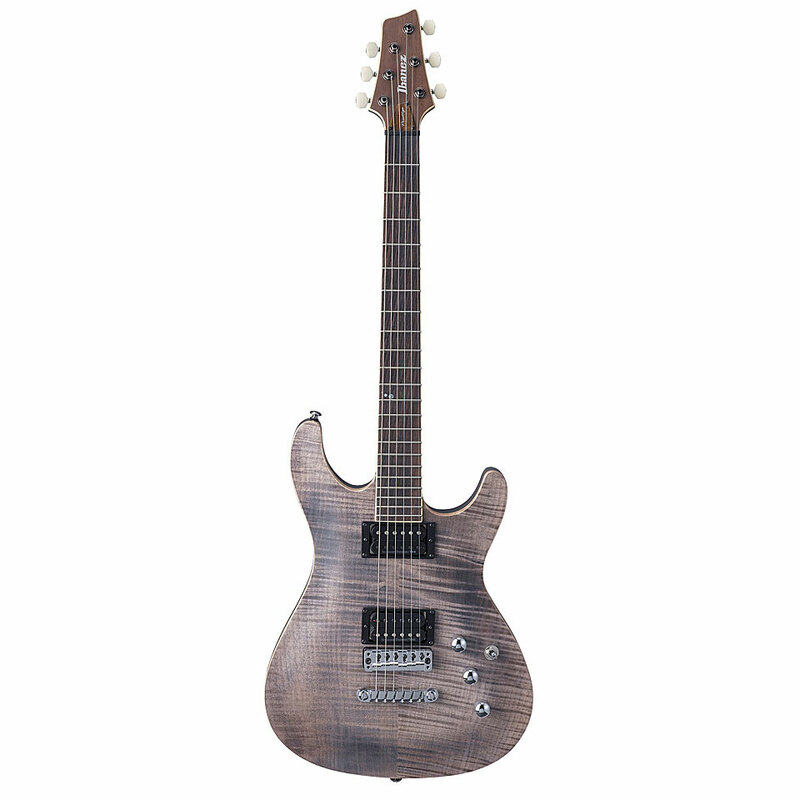 If the quality of the guitar above is anywhere near the qaulity of an AR3000 (except for the AAA flame maple top) then I wouldnt think twice about purchasing a MIK Prestige. There are other prestige guitars and basses that are being MIK but we will just wait until they are released at NAMM shall we ? 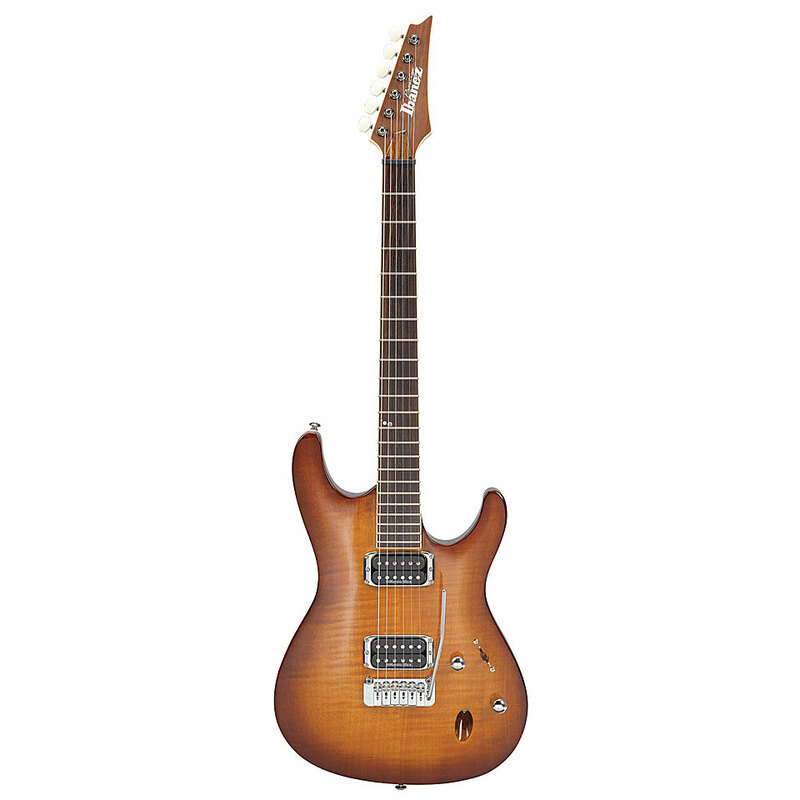 What is evryones thought on MIK Prestige.. Dont forget that in the 70's Ibanez went through the same issue with the quality of their Japanese Guitars!!! 1995 on Really good guitars, A little expensive but not compared to a real Gibson." Where was the quote from? Did you get the new Ibanez book? That BACK to Fujigen has me puzzled, unless he's talking about the kind of guitars he liked, because all the guitars we like were still from Fujigen, weren't they? sorry it is a quote for setnecks such as the Artist's GB's RS PM AS PL's and so on.. The whole text above regarding prestiges was for setneck prestige guitars..
Well I think the Prestige SZ looks pretty good! That is one thick flamed top. I would ve reversed one of the halfs in the top so you would have a /\ figured flamed top. But its not such a big deal. Flamed maple is used in SO MANY guitars that I rarely findt it exciting anymore. They will probably introduce more exciting models in the future. But the guitars looks cool and tastefull. Any confirmation about the Fujigen factory status? If Fujigen is really going to stop making guitars (or going out of bussines) then that may be a sign that Ibanez went the right way when they decided not to have a factory of their own. If that is the case, then it is unlikely for them to set up a factory in Japan now. The shape & contour looks good. The top, figured wood, stain and color looks like ABSOLUTE GARBAGE. This better be like $599 in USD or expect another flop from Ibanez. I, for one, really like the colour and the "natural/mate" finish of the guitar. If they can get a better flamed maple over those guitars, then I would really love the looks of it. That thick carved top at least has an impact over the tone of the guitar. Id rather get that top than the thin veneer they used to put on the MIJ Prestige S1520 and 1620.... and the pups are probably better than the V7 and V8. Theese are the first models, so we should expect some variety and improvement over time. Very dissapointing. I guess I haven't been paying close attention, but I hadn't realized they were moving Prestige instruments to Korea and that FujiGen was closing. I won't be buying any of these things, and won't have to with the instruments on the used market. Sad. Have you played one of this guitars yet? How can you be positive about the lack of quality of a guitar you havent played yet? As most of the people in this forim, I ve tried MIK Ibanez guitars and they were not in the same league as the MIJ guitars. Thats a fact. They had worse woods, and worse hardware, and also a sloppy finish and QC. But, that doesnt mean they cant get it right. If they start using quality quartersawn maple for the necks, and quality woods for the bodies, and they start to use the same hardware they used for the MIJ line on their MIK guitars.... well they are already halfway there. My bet is that these upgrades are going to be seen from day 1 on these line of guitars. Now if they tight the QC a little, then they will have a very good product. Lets give them a chance, at least until you try one of them. Those guitars look as good as the SA1220 did, if not better. I haven't played one of these yet, but I've played my share of Korean guitars in my 30+ years of playing the guitar. I'm pretty familiar with what level of quality I can come to expect from Korean factories. So, while I agree with you that 'that doesn't mean they can't get it right', they can get it right on someone else's dime. To me, moving the prestige line to korea just loses its magic. And wif the price increase it makes it even less attractive. I really hope they r only moving some of the lower end prestige line to K, and still make those end high RGs and Ss in J land.